The 2017 National Hockey League Entry Draft was held on June 23rd and 24th, 2017 at the United Center in Chicago, Illinois. 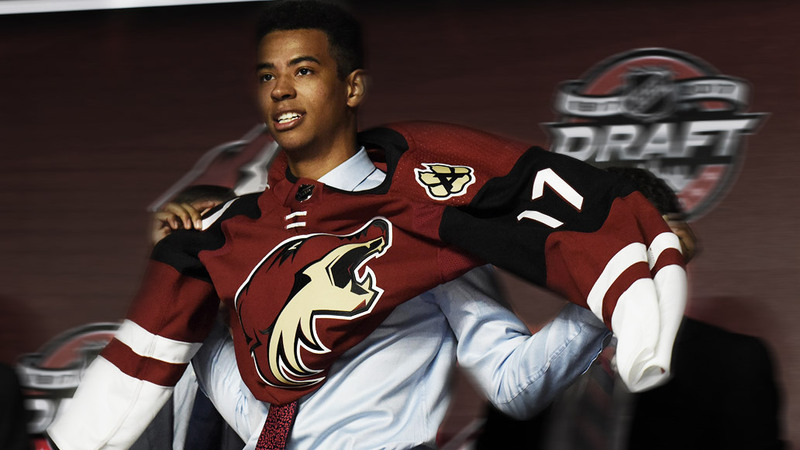 Amongst those selected in this year’s draft were Pierre-Olivier Joseph in the 1st round by the Arizona Coyotes, Jonah Gadjovich in the 2nd round by the Vancouver Canucks, and Ben Jones in the 7th round by the expansion Vegas Golden Knights. Charlottetown Islanders defenceman Pierre-Olivier Joseph didn’t have to wait too long to hear his name called at Friday’s NHL draft in Chicago. Joseph, ranked 27th for North American skaters by the NHL going into the draft, exceeded that expectation and was picked in the first round, 23rd overall by the Arizona Coyotes. “It’s an incredible feeling being here with a lot of unbelievable players who are waiting to hear their name. And, it’s pretty amazing to hear yours,” said Joseph on Saturday. In 62 QMJHL regular season games this season, Joseph had six goals, 33 assists and 54 penalty minutes. He also had one goal and five assists in 13 playoff games along with 12 penalty minutes. Joseph also played in this year’s Top Prospects game in Quebec City. In that game, he tallied one assist. In 110 career regular season games with the Islanders, Joseph has 54 points, including seven goals and two goals and nine points in 25 career playoff games. Joseph’s older brother Mathieu, a player with the QMJHL Saint John Sea Dogs, was drafted in the fourth round of the 2015 NHL draft by Tampa Bay. With the 55th overall pick in the second round of the draft, the Canucks selected Jonah Gadjovich from the Owen Sound Attack in the Ontario Hockey League. Known for his truculence and tenacity, Gadjovich potted 46 goals and 28 assists in 60 games. Gadjovich has a knack for getting into the tough areas and making his chances count. 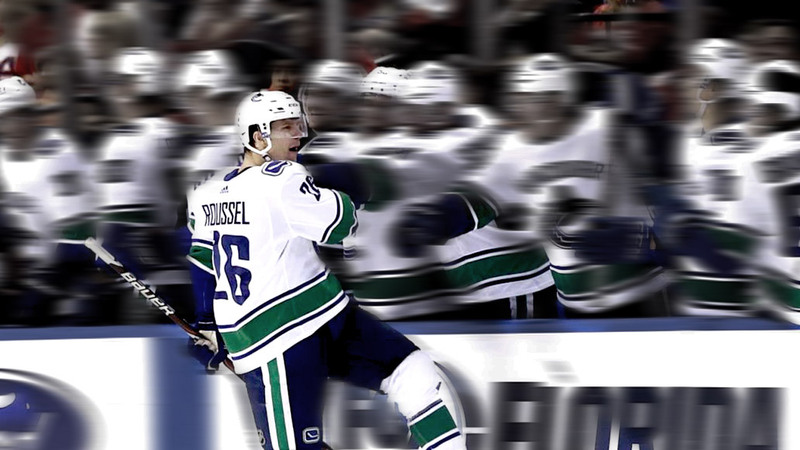 He looks to make an impact on every shift, whether that is a timely goal, a big hit or making a good defensive player. 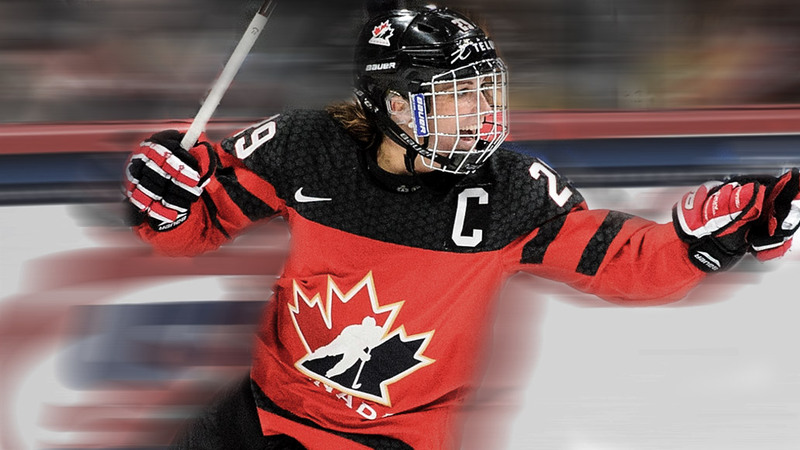 The 6’2″ and 200 lbs left winger has been invited to Hockey Canada Development Camp this summer and hopes to crack the Team Canada roster for the World Juniors in the winter following his strong season. At the beginning of the 7th round, the Vegas Golden Knights selected forward Ben Jones from the Niagara IceDogs of the Ontario Hockey League. Jones was selected by the Golden Knights after the 6’0 , 187lb centre put up 13 goals and 37 assists, for 50 points this past season. The second year forward played consistent top line minutes while being a staple on the top power play unit. Jones finished in 3rd in total team points, and second in team assists. “This is something I’ve been working for, and looking, forward to ever since I put on my gear for the first time when I was 3. I can’t come up with any words to describe the feeling, it has left me speechless. 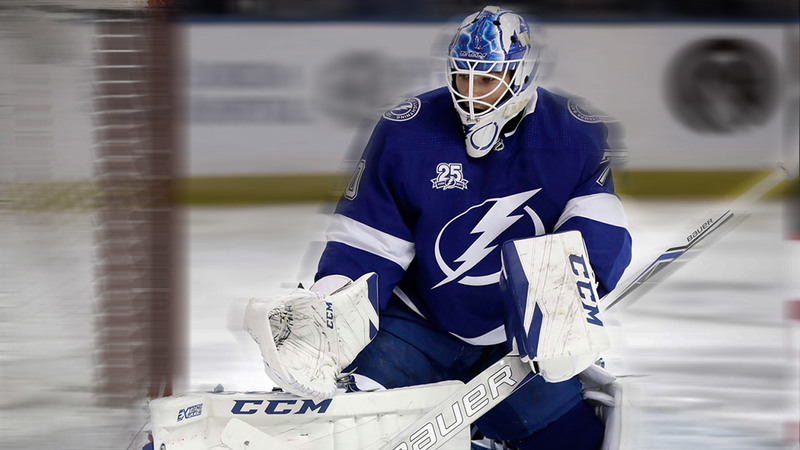 And I couldn’t be happier to be going to Vegas, a new franchise with so many opportunities,” said Jones shortly after being selected.